Another week is over; a particularly rough one for about a million different reasons that I won’t bore you with. All that matters is that it’s a three-day weekend. Right? Until Monday night at least. Luckily, there was some good this week, too. I made a cake for a groom shower we had at work and was thrilled with how it came out. 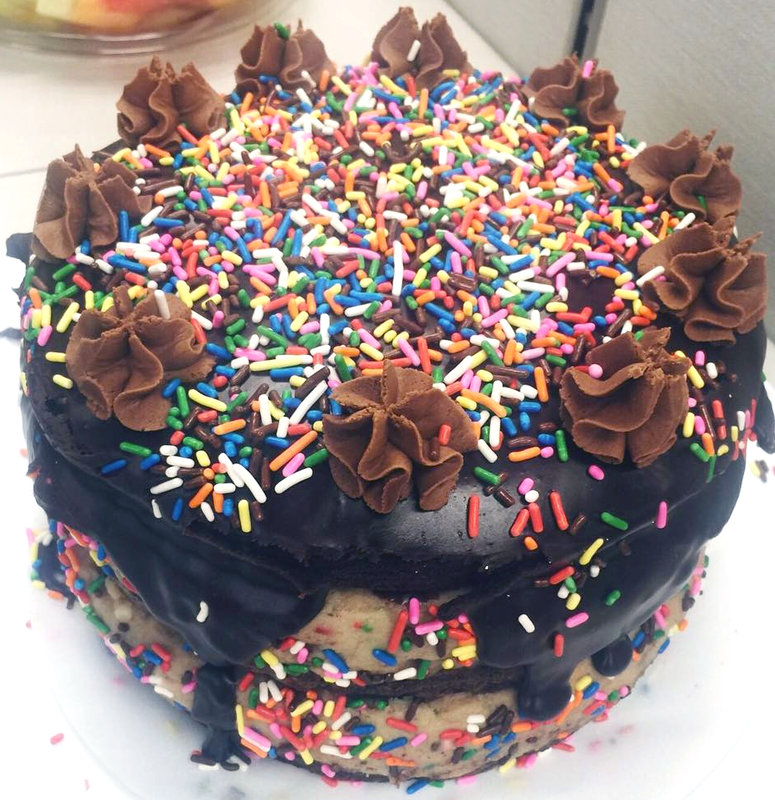 I used the recipe for Funfetti Cake Batter Cookie Dough Brownie Layer Cake from Life, Love, and Sugar’s blog. I failed to take any pictures of it, but some of my co-workers did. It definitely took some work, but it was pretty easy and I wouldn’t hesitate to make it again. It’s such a unique and fun cake! The morning temperatures have been a little too cold for my liking, but by afternoon, I’m absolutely loving the fall and October. Plus, this is on my Curly Girl calendar in my office and it makes me so happy. Now that we have a pup, we’re those weird dog people who take their dog to do things on weekends. I always thought I disliked those people and now I am one. Oh well. Winnie eats Wellness Puppy Food and loves their treats, so when Chris and I heard they were touring around Boston, we figured we’d have to take her to one of their locations, hopefully this weekend! 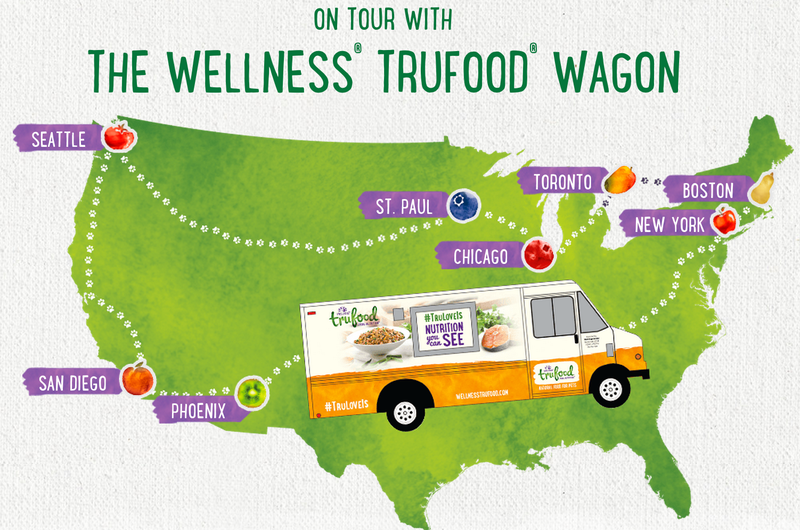 Check out the Wellness TruFood website to see where the truck will be in Boston and beyond. 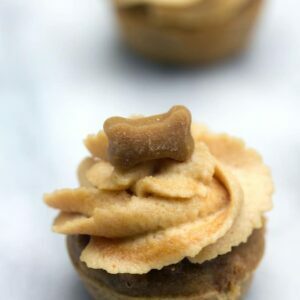 They’re calling it a “farmer’s market food truck for the most epicurean of pet” and I kind of love that! 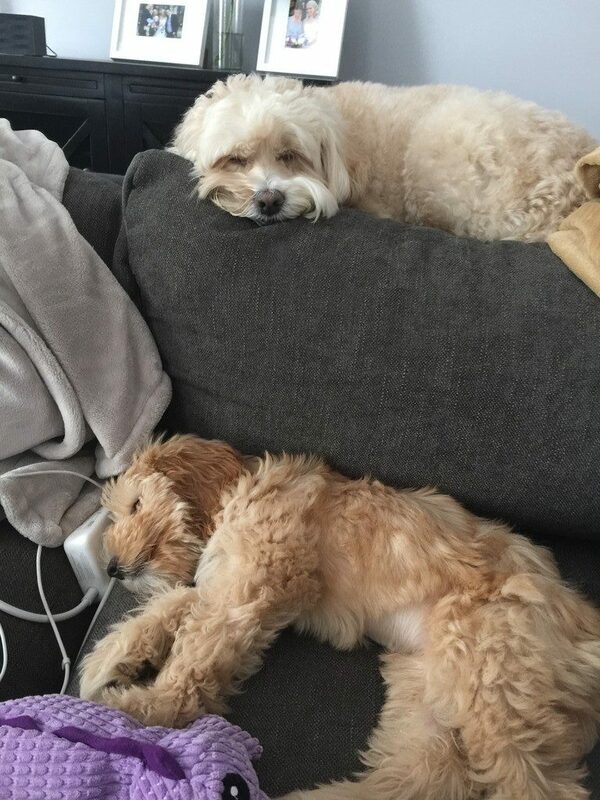 And chilling with her buddy Mitzi who we spent a few days with last week. 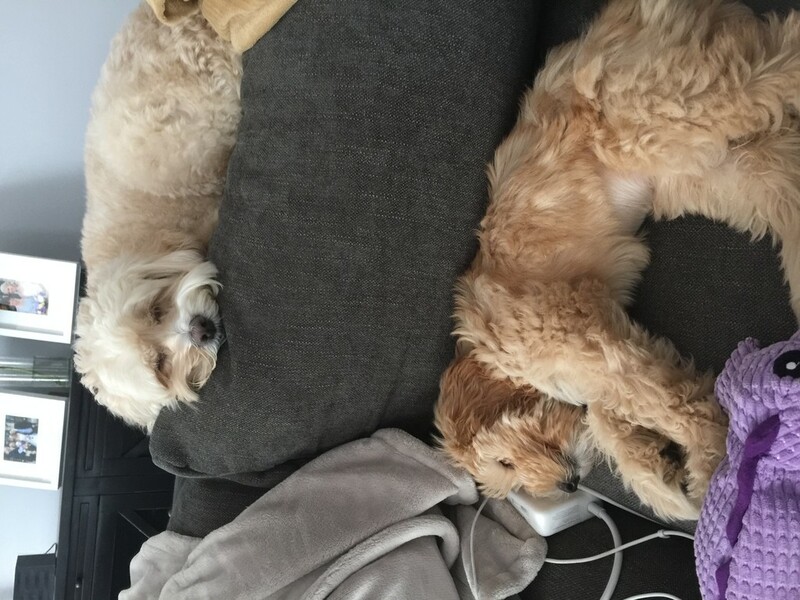 These two were adorable together… Even if Winnie was a little bit more interested in playing than Mitzi. What Lessons Do Girl Scouts Learn Selling Cookies? : I never thought about this, but I did learn a lot as a Girl Scout selling cookies. Then again, those were the days when my sister and I would go knock on the doors of people we didn’t know, which I’m pretty sure doesn’t happen anymore. I’m actually interested to learn if Girl Scout membership numbers are declining. When I was a kid, all my friends did it and there was no “stigma,” but it seems there may be now? Like Apple Picking? Try Egg Picking: YES. Who wants to go to Upstate New York with me?? Like Your Coffee Black? Congratulations, You Could Be a Psychopath: Yikes!! I’ve always been a black coffee drinker, but am pretty sure I’m not a psychopath? This study says that people who like bitter tastes are more likely to be, “vain, sadistic and enjoy manipulating and hurting others.” Boo. Time To Pursue The Pawpaw, America’s Fleeting Fall Fruit: I admit I’ve never heard of the pawpaw, but I think I need to try this “mango-like” fruit ASAP. 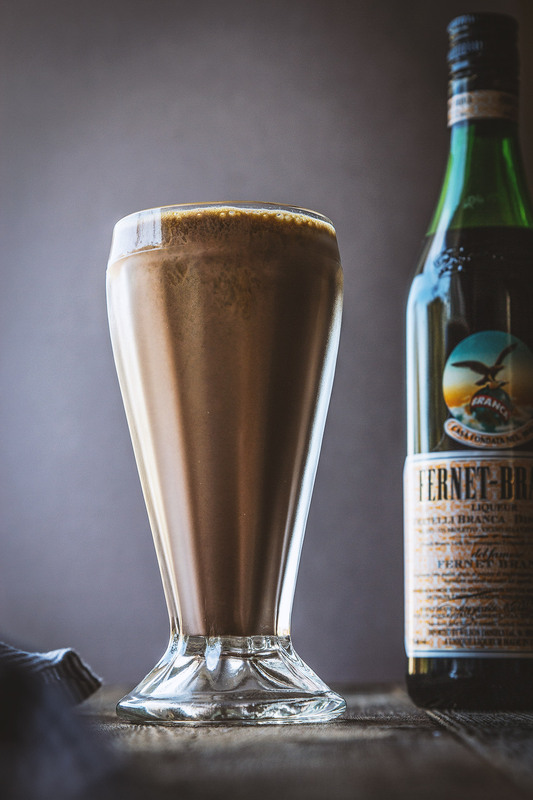 I have a serious love for all milkshakes and need more Fernet in my life. This is the perfect way to kill two birds with one stone. 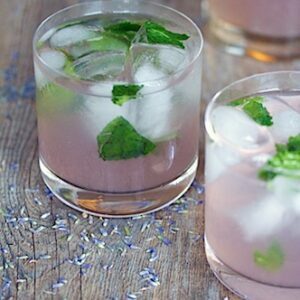 Shhh don’t tell my husband, but I’m totally making him these for his birthday. 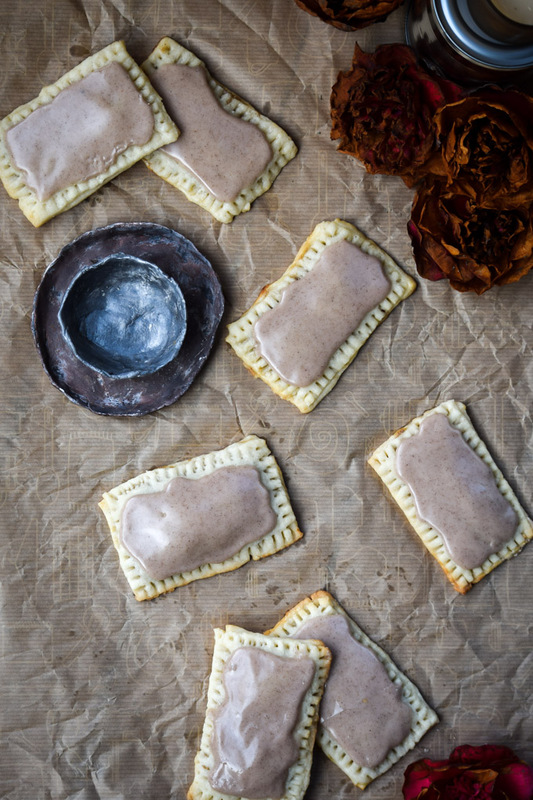 I made my own homemade Pop-Tarts years ago, but these are making me think I need to give it another go! 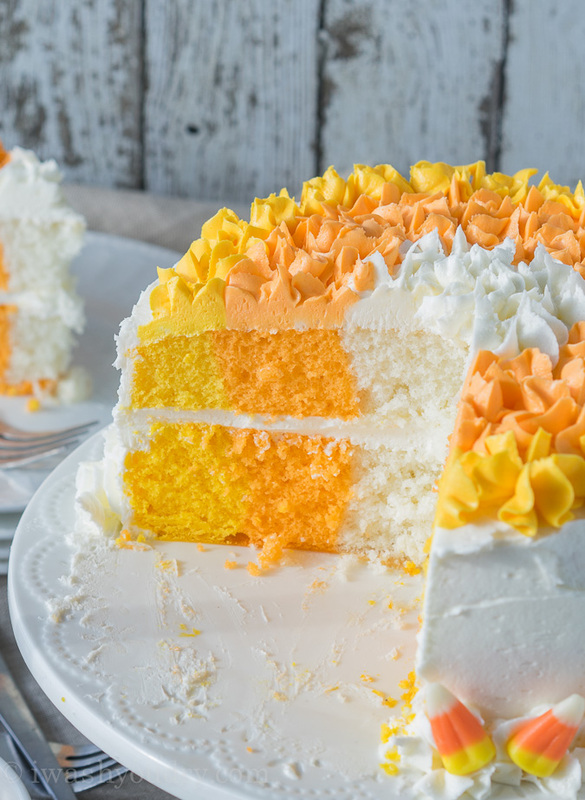 My serious love for candy corn is still going strong and this cake is just so, so perfect! I can’t even believe Halloween is just a couple weeks away! 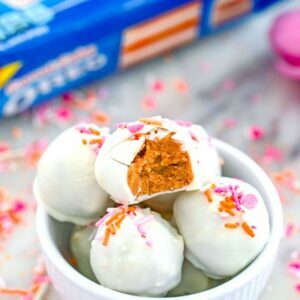 Have you been experimenting with lots of fall and Halloween recipes? 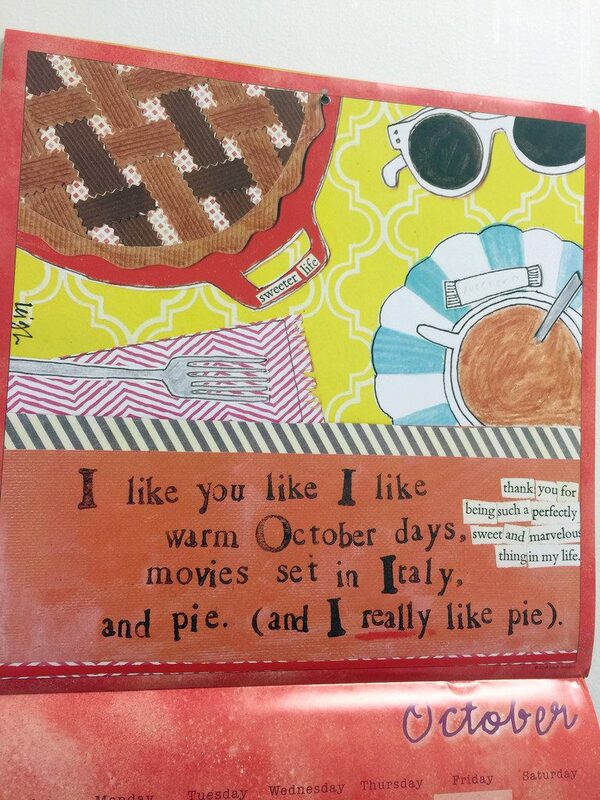 7 Responses to "Friday I’m in Love #2: Let There Be Cake (and Pie)"
That cake! The chocoholic in me is dying. Can we get that technology already that lets you get a bite of what you’re seeing on screen?! 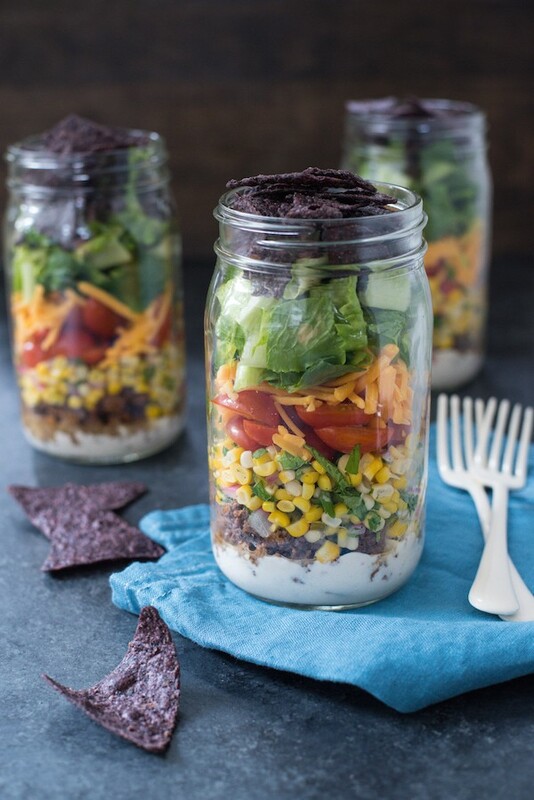 So many good things…from that chocolate cake to that candy corn one. Wow … I love those pop tarts! I’ll have to try making them again too. And your dog is so adorable! Love this post! Those pop tarts look BOMB!!! 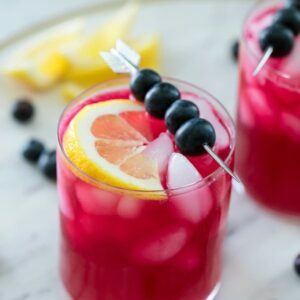 This post is amazing..thanks for so many wonderful ideas! 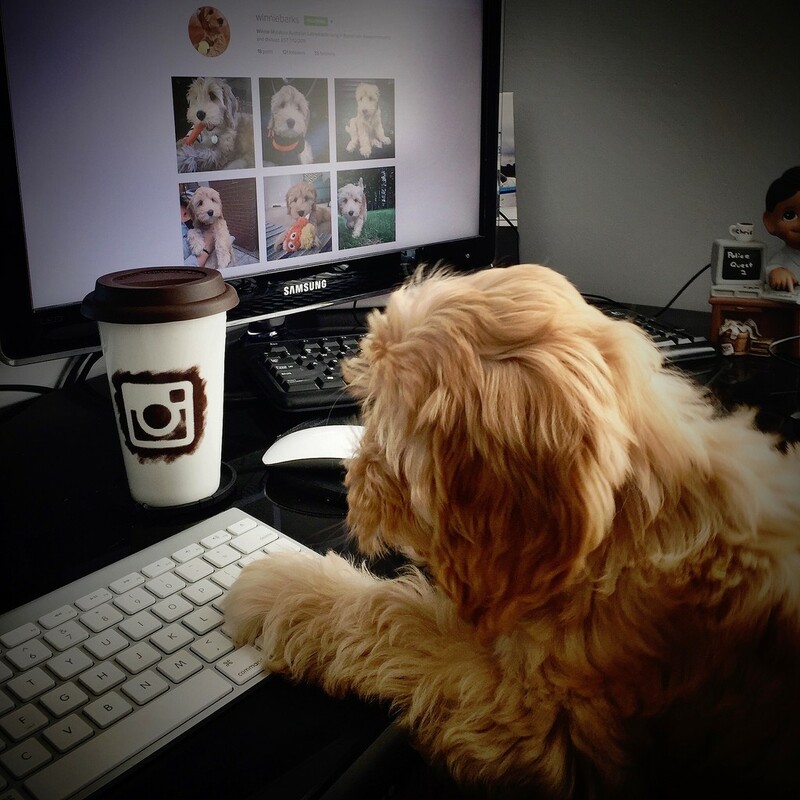 The cakes are truly out of this world and everything else is unique including the pop-tarts, taco salad jars and the incredible puppy, Winnie using the computer..who knew? ?